I was very taken by the works of Toronto artist: Sung Ja Kim Chisholm. Pages from Life’s Journey were on display at the World of Threads Exhibit. 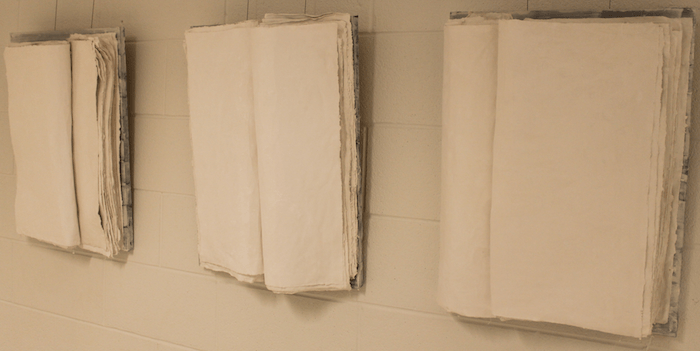 These pieces are made with white fabric and plaster. There is a simplicity that I find appealing. The absence of colour makes me want to get close to examine the nuances of each piece. There is a similarity between each one, yet each series evokes a very different feeling. What would the pages from your life look like?